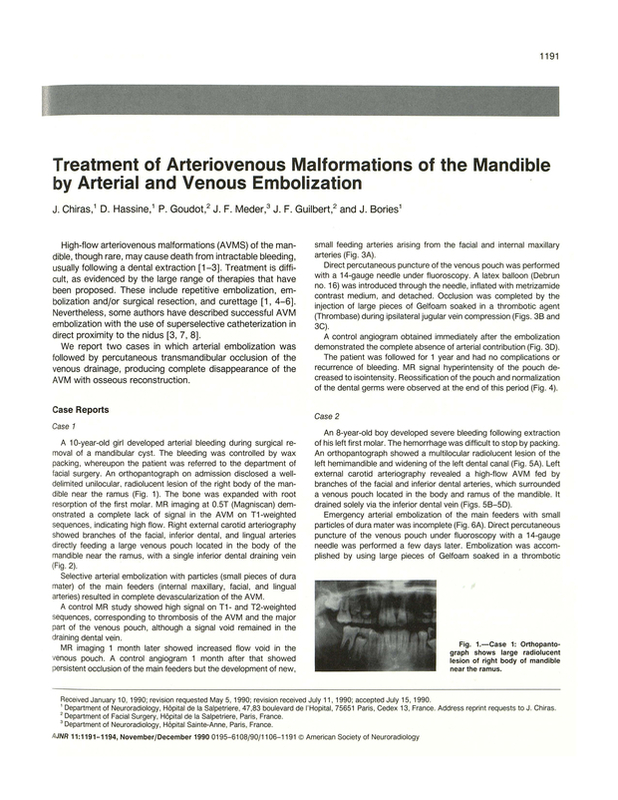 Treatment of arteriovenous malformations of the mandible by arterial and venous embolization. Department of Neuroradiology, Hôpital de la Salpetriere, Paris, France. You are going to email the following Treatment of arteriovenous malformations of the mandible by arterial and venous embolization.